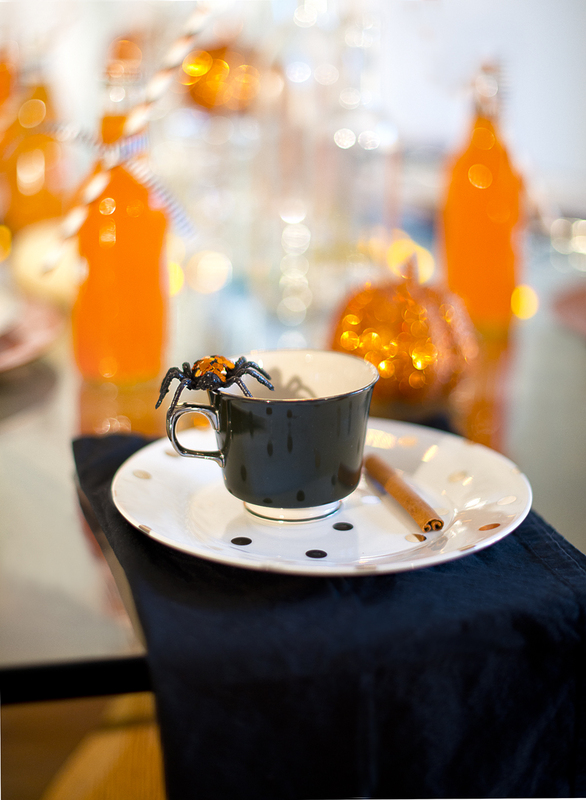 Halloween is one of the best holidays for decorating and this might be my favorite tablescape that we’ve created. When we started to brainstorm our Halloween tablescape we knew we wanted to create something that screamed Halloween with hint of spookiness. This was an easy task to carry out since Halloween decorations come in a huge variety of colors and designs. Everything from scary moving objects that make noise to glittered spiders and bats are available. You can find Halloween decorations at almost any retail store, but we choose Michaels. We had a lot of fun at Michaels and it provided us with tons of ideas such as our candlestick center pieces and spider favors. At Michaels we purchased the black spiders, orange chargers and ribbon. The black and white stripped ribbon was used to tie straws around our orange Crush beverage and the orange chargers were used to add a pop of color to the black and white dinner plates. We did not purchase the candlesticks instead we made our own using empty white wine bottles and candles from the Dollar Store. The napkins, black tea cups and plates were borrowed from my mother-in-law. 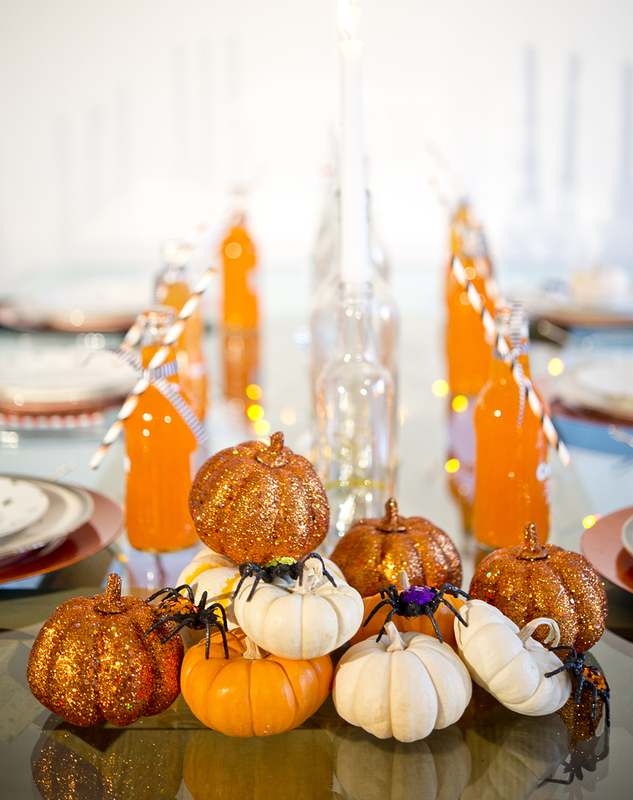 The unique and fun features of our tablescape are the Halloween lights that we taped under the glass table. The lights add a great pop of color that shines through the wine bottles. The other unique item was the polka-dot dessert plates, which added a touch of casualness on the black and white china dinner plates. For fun, we added a fog machine to create the spooky-cool atmosphere.